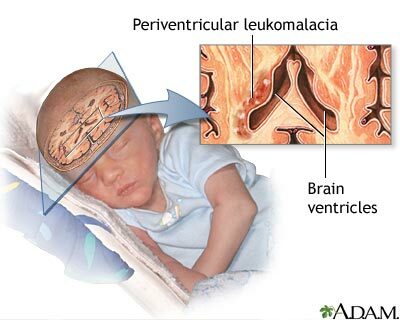 Periventricular leukomalasia (PVL) is a type of brain injury. PVL actually represent small “holes” in the brain due to the death of small areas of brain tissue around the normal fluid-filled cavities of the brain. PVL is frequently associated with the development of neurological and developmental problems in growing babies, usually during the first to second year of life.